In Austria, the institution that oversees the regulation of medical devices is the Austrian Federal Office for Safety in Health Care (BASG). Medical devices for in-vitro diagnosis, or in-vitro diagnostic medical devices. The category for general medical devices is divided even further based on potential risk posed to the human body. These divisions are Class I, Class IIa, Class IIb, and Class III, each one increasing in risk, respectively. Due to Austria’s membership as a country in the European Union, only devices with proper CE Markings may be placed on the Austrian market. The device regulations follow those of the European Union, although there are a few differences regarding manufacturers and the device’s selling history, which are discussed below. Here, you can find more information about medical device regulations for the European Union. Registration is mandatory for all companies based in Austria that are registering a product for the first time in the Economic European Area (EEA) through the Austrian Medical Device Registry. This registration is legally required to be kept up-to-date. If the product is already CE-marked, is on the EU or Swiss markets, and is in the national registry for the country/countries in which it is being sold, then the device does not need to be registered in Austria. If the device manufacturer is not located in Austria, but the device distributor is, it is recommended that the device be registered through the Austrian Medical Device Registry, but it is not required. If you are a manufacturer that is located within the European Economic Area (EEA) and want to begin selling your device, you must both obtain a proper CE-marking and comply with additional regulations, like the European Regulatory Framework, Austrian laws, and various standards. In addition, the manufacturer’s name must be on the device label, and all information on the packaging must be in German. If you are a manufacturer that is located outside of the EEA, you must designate an Authorised Representative within the EEA or Switzerland. If this representative is in Austria and your device is being put on the Austrian market for the first time via the EEA or Switzerland, then the representative must register with the Austrian Medical Device Registry. The Authorised Representative must also have their name placed on all labeling. 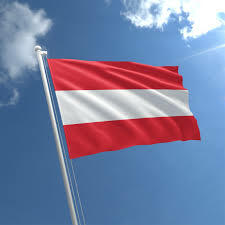 To register with the Austrian Medical Device Registry, there are no fees as it operates as a cost-free online database. However, manufacturers are obligated to pay an annual fee to the Federal Office for Safety in Healthcare.